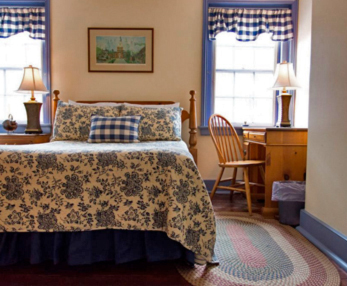 Step into the 18th century in this exquisitely restored 1769 Bed and Breakfast. 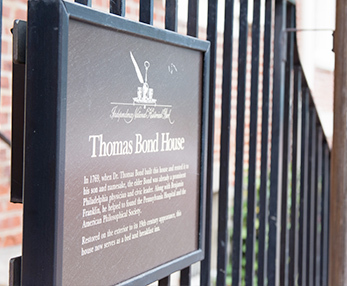 The Thomas Bond House Bed and Breakfast Inn is within walking distance of many historic sites, including Independence Hall, the Liberty Bell, the National Constitution Center and the Betsy Ross House. Fine restaurants, theaters, museums, world-class shopping and the internationally acclaimed Academy of Music and Philadelphia Orchestra are all on the doorstep. Those here on business will find easy access to downtown Philadelphia’s Amtrak 30th Street Station, the Philadelphia Convention Center, and Philadelphia’s International Airport that are all only minutes away. Book a stay in one of our 12 guest rooms. 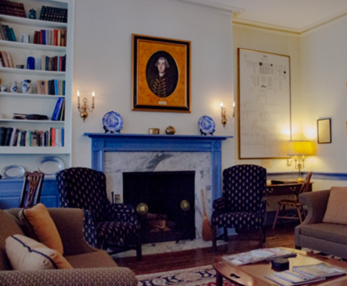 Each carefully restored and decorated with exquisite Federalist period furniture.